EDINBURG — The murder trial of a Mission man was put on hold Thursday after the state filed an appeal to a court’s ruling during the trial. 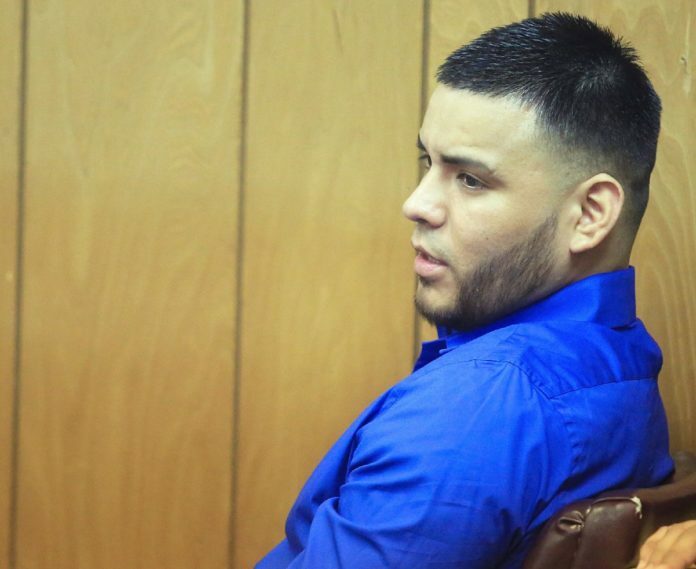 Hidalgo County Assistant District Attorney Ricardo Rodriguez Jr. filed Thursday on behalf of the state an appeal to a court decision that suppressed key evidence in a murder case. “Criminal District Attorney in and for Hidalgo County, Texas, gives notice of intent and desire of the State of Texas to appeal from the Order rendered June 8, 2017, in this cause, by which Order the Court granted the Defendant’s Motion to Suppress, “the court document reads. The appeal Rodriguez filed, which will be heard by the 13th Court of Appeals, is connected to the murder case involving Juan Carlos Lara, a Mission man accused of shooting and killing Jaime Ramos, 24, of Palmview, over an alleged drug load lost by Ramos during a seizure. Lara, who turned himself into authorities about a week after he was implicated in the shooting death, went to trial earlier this month after he pleaded not guilty to the murder charge. During the trial, which began June 5, the court ruled in Lara’s favor when the state attempted to admit into evidence a statement provided by Lara shortly after he surrendered to authorities. Lara’s attorney, O. Rene Flores, as part of his defense, argued during trial that officers with Palmview police mishandled Lara’s interrogation, and failed to properly inform him of his rights before he gave a statement. Flores said that Lara’s statement was inadmissible because officers obtained it even though he was unaware that he had waived his Miranda Rights — the court agreed and the jury did not see the statement during the trial. The state also failed to have admitted into evidence video surveillance that purported to show Lara driving away from the scene of the crime moments after the shooting. That failed when the state was unable to produce the footage due to a faulty USB drive where Palmview police had stored the footage. Jurors deliberated June 9 for about 8 hours before the court declared a hung jury. Rodriguez said he disagreed with the court’s decision to keep out Lara’s statement and is confident the court of appeals will rule for the statement to be allowed into evidence. Flores said he agreed at the time with the court’s decision and believes the court of appeals will do the same. The appeal will delay the murder trial for the 31-year-old who was due back in court Monday.